Limerick Film Makers Feature in Limerick Voice. 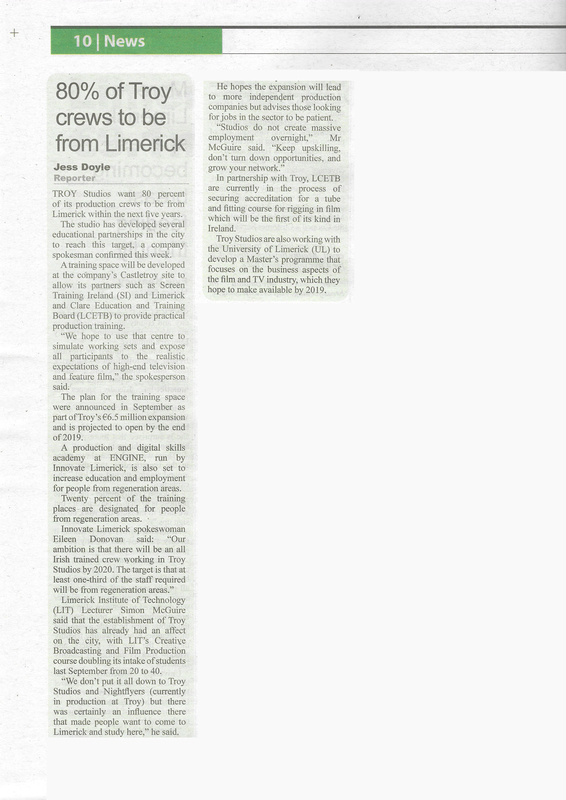 In todays Limerick Leader is the UL student driven, newspaper Limerick Voice, in which is a feature on the Local Film Making Talent in Limerick and the mid-west region. Thanks to journalist Jane O’Flaherty for the stories and coverage. Click on the images for the scanned articles. LIMERICK’S only film festival for student and professional filmmakers alike is to return under a new guise next year. The LIT Film Festival will return for a fifth year in April 2014, except now styled as the Limerick Film Festival. The three day event has grown in size and reputation over the last number of years and, fittingly ahead of Limerick’s stint as national City of Culture next year, aims to attract hundreds of film makers and visitors from across Ireland to the city for the high profile event. “We are excited to be bringing the art of film, professional film makers, actors, producers, directors and many more to the city for the three day event,” explained the founder of the festival, Simon McGuire, video lecturer and course coordinator in LIT. “With the new changes planned and a new focus on expanding the festival in and around the city, the Limerick Film Festival will be giving the film making talent of Limerick a chance to shine and show off their skills to a wider audience,” he added. The popular short film competition will also return, and Mr McGuire said that entry forms and competition details can be found on the festival’s website. 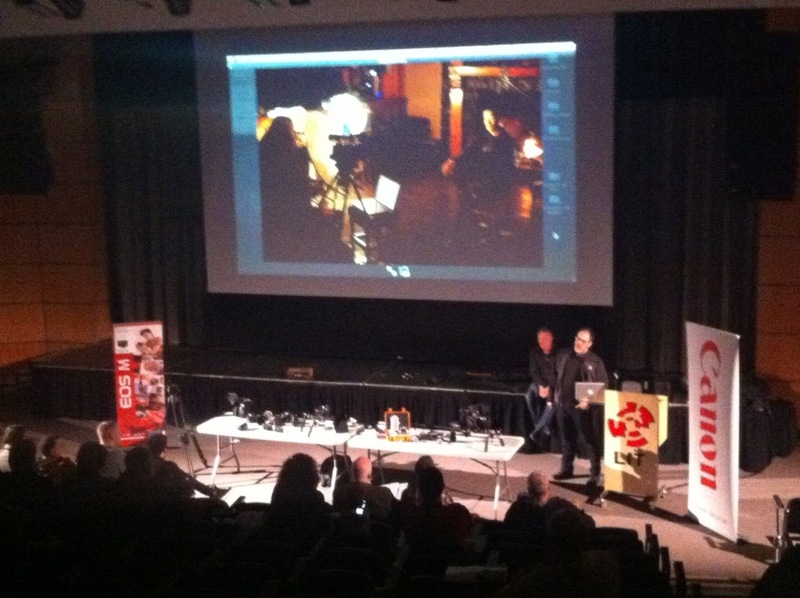 Planning for the festival is well underway and “high calibre” workshops will be again on offer to interested parties. Previous speakers at the festival have included Pat Shortt and respected Irish film producer Lelia Doolan. Full details of the festival will be announced next year, but for more information see http://www.limerickfilmfestival.net. Here is the Newspaper coverage on the LIT Film Festival Buildup this week. Acclaimed sports journalist David Walsh will soon speak to a full house at Limerick’s new Lime Tree Theatre about his pivotal role in the epic Lance Armstrong saga, joined on stage by fellow doubter Paul Kimmage. The event in Limerick will be moderated by Alan English and questions will be invited from the audience. When Walsh spoke at a venue in London late last year, “the hands shot up”, which astonished the seasoned journalist. Walsh is expecting to answer plenty of questions at the Lime Tree – and he’s looking forward to it. We are delighted to be involved in working on the VT inserts for this event at the Lime Tree and it will be certainly an evening not to be missed.